This entry was posted on September 17, 2013 by Avel Ureno. Electricity. Can you imagine a world without it? We have become so dependent on electricity these days it’s probably difficult to consider a world where a battery simply did not exist. In the mid-1800s electricity was discovered and has remained one of the most novel findings the world has ever experienced. There is some discussion that the use of electricity goes back even further with the discovery of (what appeared to be) a prehistoric battery, known as the Parthian Battery, believed to be 2,000 years old. However, many scientists have conflicting views over whether this “battery” was actually used as a source of energy. That being said, it remains that the first invented electric battery was founded in 1800 by Alessandro Volta. Alessandro Volta’s breakthrough determined that specific substances could consistently produce electrical power when used as a conductor, which led to the first voltaic cell the world had ever seen, or as we call it today, the battery. Volta revealed this possibility of an endless stream of electric current to the Royal Society of London and the Institute of France, where his ideas were welcomed and encouraged. Over the next few years, inventors began testing and experimenting with the voltaic cell and innovative discoveries soon followed. Some of these included improved battery designs, the discovery of electrolysis and the first battery used for mass production. In 1859, Gaston Planté, a French physicist, developed the first rechargeable battery. Astonishingly enough, his rechargeable system, based on lead acid, is still used today. 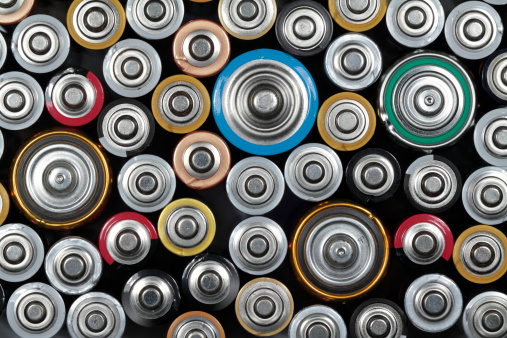 Swedish inventor, Waldmar Jungner, invented the first nickel-cadmium battery, or NiCd, in 1899. To produce the positive electrode, the power source used nickel while cadmium created the negative conductor. Unfortunately, the material cost to produce this type of battery was significantly high. Sequentially, Thomas Edison invented an alternate design by using iron in place of the cadmium. The battery was more affordable, but its performance was poor, and this limited its success. In 1932, Shlecht and Ackermann developed higher load currents by creating the sintered pole plate. The invention increased the NiCd battery’s longevity. The NiCd device was the only transportable rechargeable battery for many years. However, during the 1990s, Earth activists in Europe began to worry about the power source contaminating the environment when thoughtless disposal developed into a common problem. To try and counter this problem, the activists requested an upgrade to nickel-metal-hydride, or NiMH, which is safer for the planet. Developments are being made to improve the specific energy and power of these batteries to potentially offer as a environmentally friendly option to the more commonly used lithium-ion battery. Where does this leave us Today? 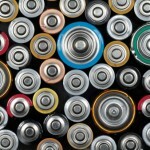 Today, researchers are constantly working to improve lithium-ion batteries. These batteries now provide fuel for smartphones, digital cameras and laptops along with medical equipment and power tools. Furthermore, other industries are beginning to use the technology. For instance, car manufacturers currently install a Li-ion battery in electric vehicles. Benefits of Li-ion batteries include its high-energy source, ability to charge easily and little maintenance requirements. The history of the battery is extensive, and this was a mere touch upon the story of its developments. It’s story continues to grow as the technology is every day evolving. Developers continue to advance this amazing power source and as a result, we are graced with ever-improving batteries that foster efficiency.